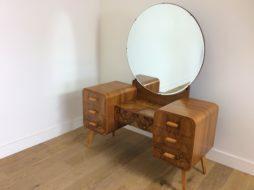 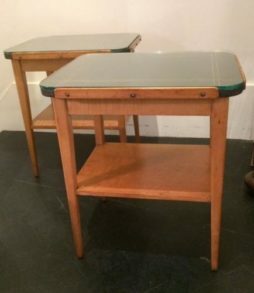 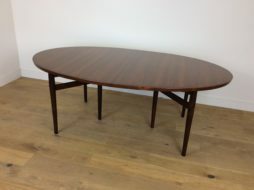 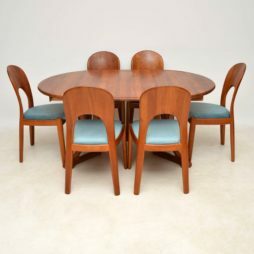 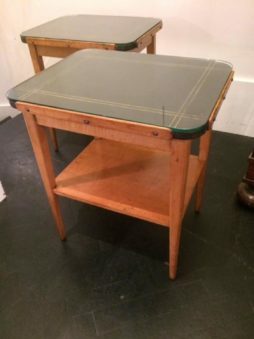 Mid-Century Tables | Interior Boutiques – Antiques for sale and mid century modern furniture, french furniture, antique lighting, retro furniture and danish furniture. 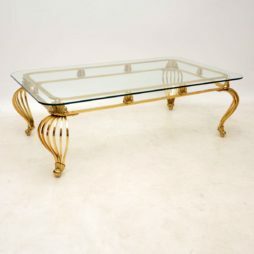 A large, beautiful and very impressive vintage coffee table of amazing quality, this was made in France, it dates from the 1960’s. 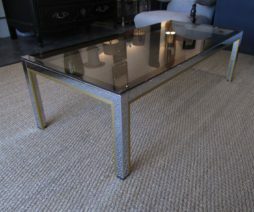 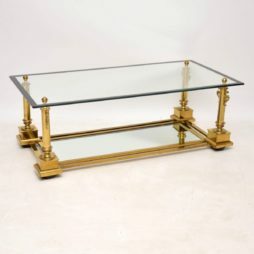 It’s very well made, with a heavy solid brass frame and toughened glass top. 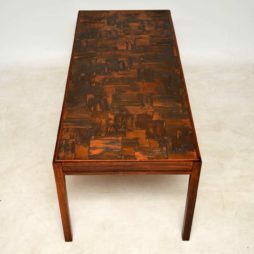 The condition is great for its age, with only some very minor surface wear here and there. 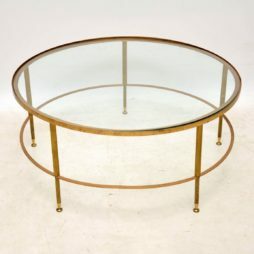 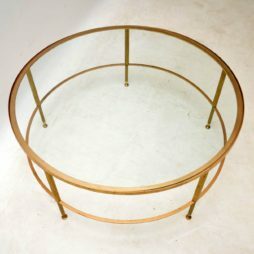 A beautiful and impressive circular brass coffee table with an inset glass top, this was made in France and dates from the 1960’s. 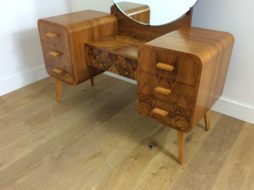 It’s very well made and in lovely vintage condition, with only some minor surface wear to be seen. 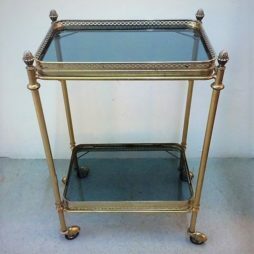 A nice 1960s teat trolley with removable trays for serving. 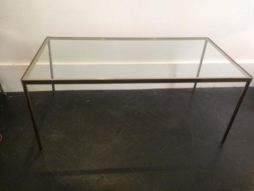 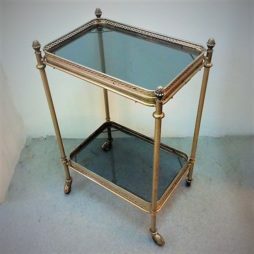 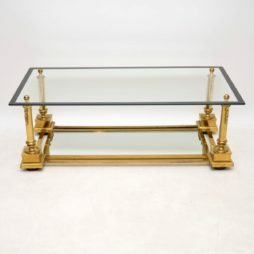 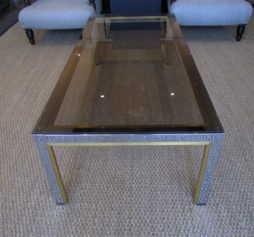 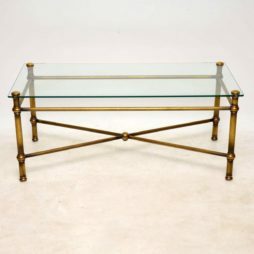 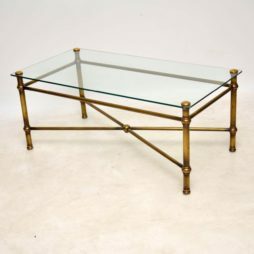 A very stylish and top quality vintage coffee table in brass with a fixed glass top, this dates from the 1950-60’s, it was most probably made in France. 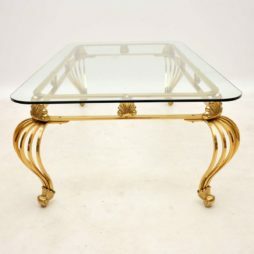 The condition is excellent for its age, the brass has a beautiful patina, the clear glass top is free from any chips or cracks. 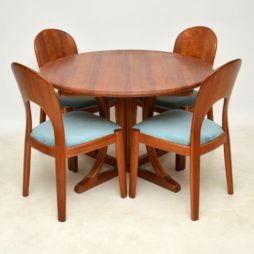 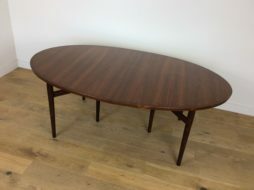 Mid Century Extendable Dining table model 212 by Arne Vodder for Sibast. 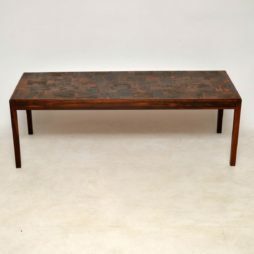 Beautiful Rosewood Dining table with two extendable leaves.